When you move into a new home, you are excited about living there and decorating all the interior and exterior spaces. If you are fortunate to have a front lawn and a sizeable backyard, you can even enlist the services of a landscaping company to design your front and backyard the way you want. However, years later, your lawn may not be in the best of shape anymore. As life gets busier, regular yard maintenance becomes more difficult. Weeds from your neighbor’s yard can overtake the lush grass you once had. If you want to get back to the beautiful lawn you once had, now is the time to start thinking about replacing your lawn with new sod. This is where Ground Source can help you. We are a fully licensed and insured sod installation, irrigation, and landscape design company located in Florida. Started by Joe Mouad, our team of professionals has worked hard for over a decade to provide the best service for all our customers. Through experience and continuing education, we are experts in the climate, flora, and fauna of Florida. 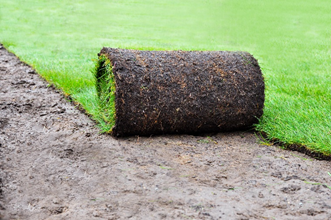 We are confident that we can provide the best Orlando sod installation for you. You can schedule a free consultation with us so that we understand your needs and are able to work with you to create what you like. Just call us at 407-378-5366 and get started on making your lawn the best ever. At Ground Source, we have expertise in all aspects of sod installation, including sod preparation, sod delivery, new sod installation, old sod removal, and pest and disease prevention for new sod. We carry out each step of the process of sod installation with the utmost care. First, we kill the old sod and then use professional tools to completely remove it, while also being careful not to destroy the ground for new sod installation. Then we grade your yard and install the new sod making sure it is the type that will work best in the space. We take into consideration factors such as how much sunlight your yard gets, whether or not a sprinkler system will be used to water the lawn, and ongoing use of fertilizer and pesticides to keep your lawn looking its very best. We offer a 30-day warranty for our sod delivery and installation, and if anything is less than perfect, we fix it with no extra cost to you. 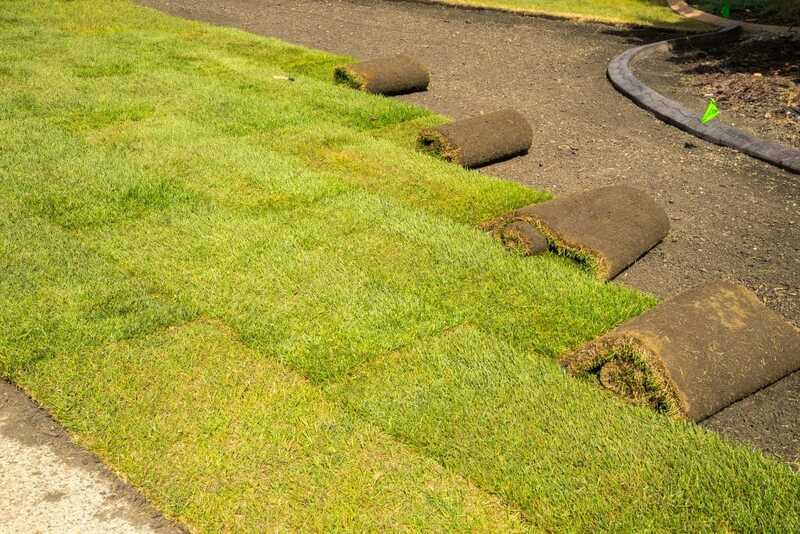 Our sod is cut the day delivery is scheduled, so you get the freshest Orlando sod. Irrigation Services - This includes sprinkler repair and installation, French drains, and irrigation systems. Since watering is imperative for a beautiful lush lawn, using a sprinkler system regularly makes this job easier compared to using a hose. We can install and perform regular maintenance of your sprinklers, and also repair them if needed. We provide a 90-day warranty on sprinkler repairs and one year warranty on complete system installations, valves, and timers. Installing French Drains is an excellent way to ensure that no excess water is sitting in your lawn and Ground Source can help you install this too. We can do the installation in such a way that it blends in with your landscaping rather than standing out like an eyesore. Landscaping Services - We provide many landscaping services such as custom landscape designing, hardscapes (fire pit, patio, pool deck, retaining walls, etc. ), pavers, outdoor kitchens, landscape lighting, and more. Having designed some of the most beautiful landscape designs in Central Florida, we can meet any special needs you may have and exceed your expectations for how beautiful your property can look! As always, we like to consult with and discuss all options with our customers before starting work, so that nothing is left out and they get exactly what they want. As you can see, when it comes to providing the best Orlando sod installation, as well as many other landscaping services, Ground Source can indeed be your year-round landscape specialist. You can expect your lawn to look fresh and beautiful throughout the year with our installation and maintenance services for your property.